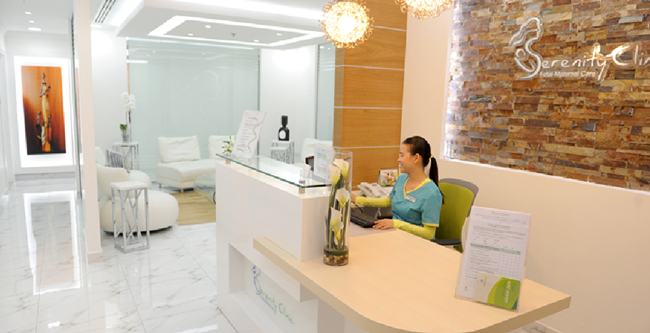 Serenity Clinic Fetal-Maternal Care specialized in obstetrics - gynaecological and Fetal Medicine especially women with high-risk conditions and maternal complications. A high quality clinic for pregnant women and babies. Serenity Clinic Fetal-Maternal Care obstetrics and gynaecological services with extensive care and world-class standards needed for mothers with high-risk pregnancies ranging from multiple pregnancies to fetal growth restriction, maternal diseases, and maternal counselling. With Serenity Clinic Fetal-Maternal, pregnancy is likewise being taken cared of using latest ultrasound equipment and sophisticated data analysis control. Serenity Clinic Fetal-Maternal Care specializes in obstetrics, gynaecology & fetal medicine especially those with high-risk conditions and maternal complications. P.O. Box 505205, Dubai, U.A.E. © 2015 Serenity Clinic. All Rights Reserved.